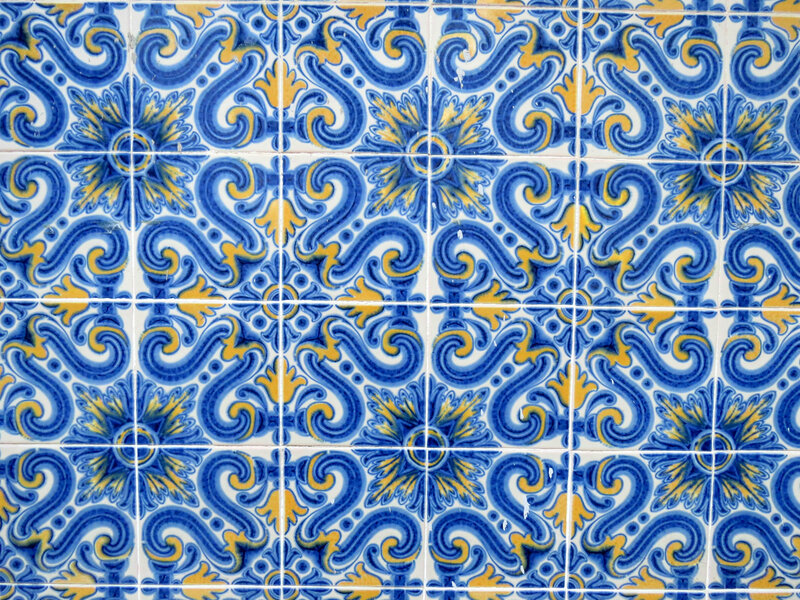 Ceramic tiles, called Azulejos, are a key feature of Lisbon’s architecture. A walk down any street will reveal colorful and detailed tilework on buildings, both inside and out. This beautiful tile work isn’t just on important palaces and churches either; it can be found on many regular houses, shops and public buildings. Much of the tiling consists of bright colors and elaborate shapes, but some of the tiling also depicts stories and scenes from Portuguese history. Tiles were originally brought to the Iberian peninsula by Moorish conquerors, but tiling did not become prominent in Portugal until after the Christians came into power. Over time, the types of tiles and colors used have changed to reflect what was fashionable during different historical periods. 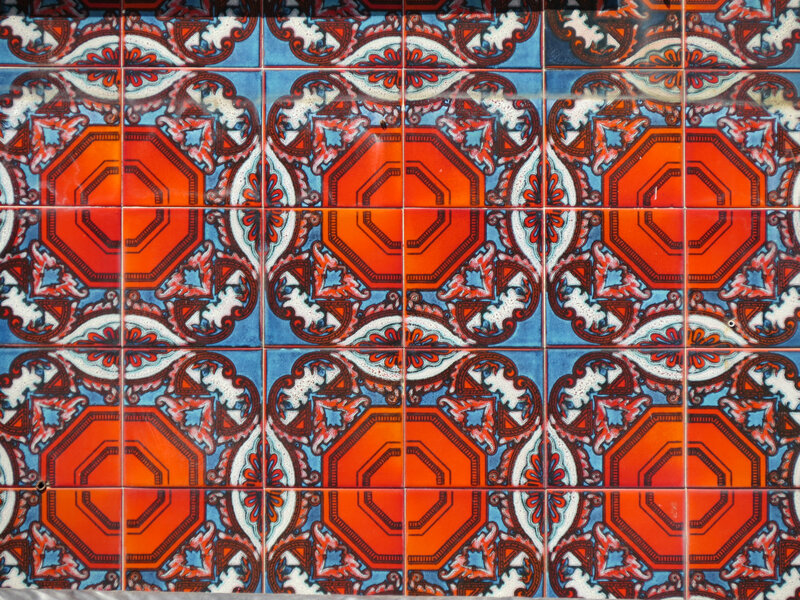 Today, Lisbon remains one of, if not the best, places in the world to appreciate tile as an art form. Thank you! There were so many beautiful azulejos in Lisbon — more than I could photograph.